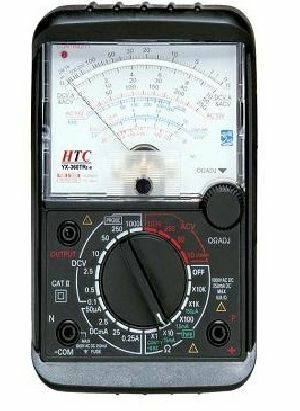 Pocket size multimeter is self-contained portable test set that measures a wide range of Voltages, Currents and Resistances. 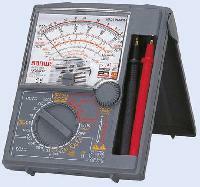 This is an indispensable instrument for servicing and maintenance of electronic equipment, radio and television. 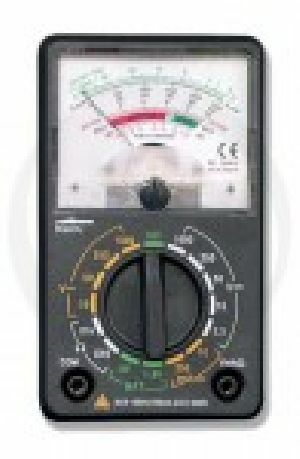 The meter is so designed and its movement is heavily damped to avoid damage to the meter movement. 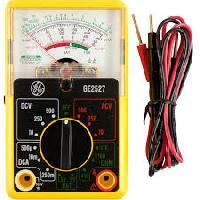 This pocket Multimeter is a universally usable multi-function instrument. 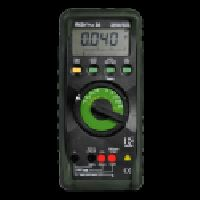 The instrument has been designed in accordance with the most up-to-date safety regulations and ensures safe, reliable measurement. 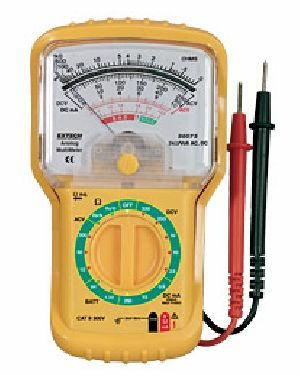 It is a useful aid, for all standard measurements, to the electrician on site, in industry or for hobby electronics. 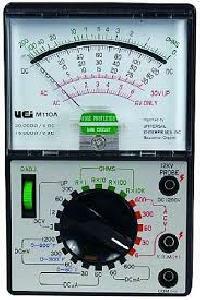 Analogue display DC and AC voltage measurements up to 1000V DC current measurement up to 250mA. 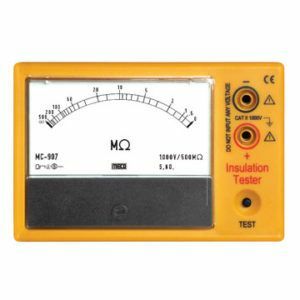 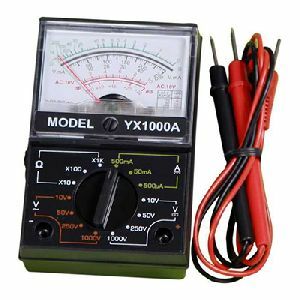 Pocket size multimeter is self-contained portable test set that mesures a wide range of Voltages. 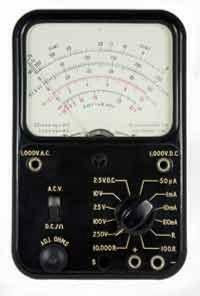 Currents and Resistances. 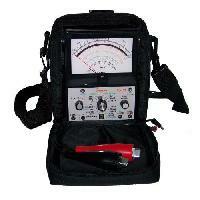 This is an indispensable instrument for servicing and maintenance of electronic equipment, radio and television. 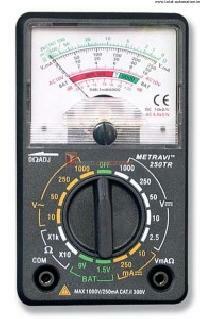 The meter is so designed and its movement is heavily damped to avoid damage to the meter movement. 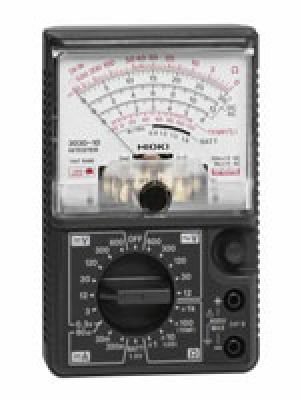 The Analog Multimeter 250TR Pocket size is a universally usable multi-function instrument. 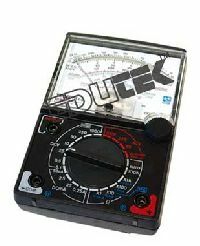 The instrument has been designed in accordance with the most up-to-date safety regulations and ensures safe, reliable measurement. 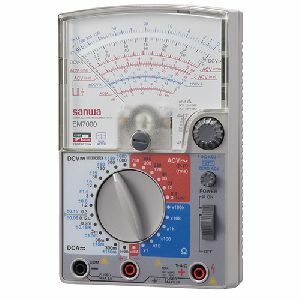 The compact 250TR Pocket Multimeter is a useful aid, for all standard measurements, to the electrician on site, in industry or for hobby electronics. 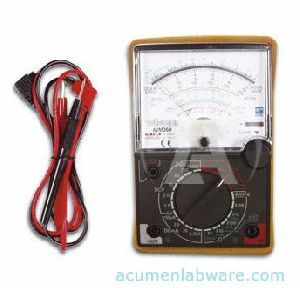 Multimeter Analog Low cost moving coil multimeter for AC/DC & resistance measurements, having a knife edge pointer moving over a two colour scale. 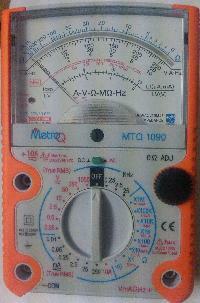 With 175µA f.s.d. 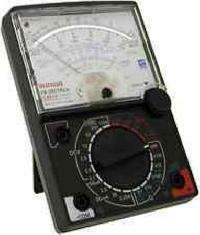 sensitivity. 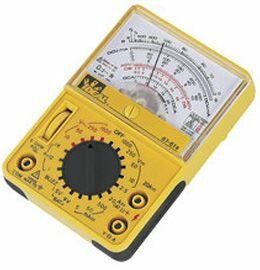 Range selection is by pins. 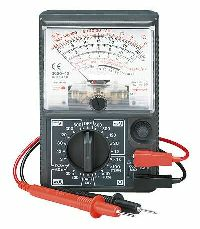 Test leads stay firmly in the terminals. 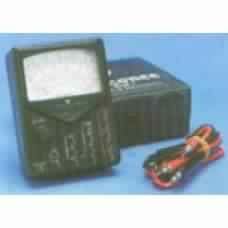 Two 1.5V batteries included. 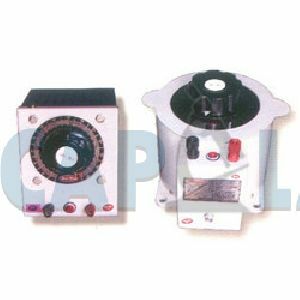 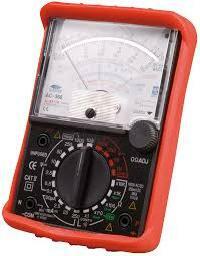 We deals in supplying of wide range of Analog Multimeters.